Dan Abrams is the CEO of Abrams Media and the Chief Legal Affairs anchor for ABC News. 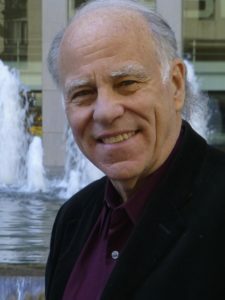 David Fisher is the author of more than 20 New York Times bestsellers. 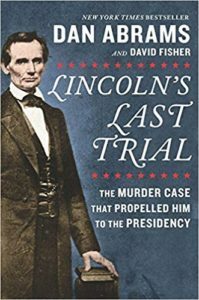 The two worked together to produce Lincoln’s Last Trial: The murder case that propelled him to the presidency. David and Dan drew from the transcript of a case reported to have changed everything for an attorney from Illinois named Abraham Lincoln. David will tell us how they drew from a transcript of the case – The State of Illinois versus “Peachy” Quinn Harrison. The transcript was discovered in 1989 in a garage that once belonged to Peachy Harrison’s great grandson. In this conversation we talk about Abraham Lincoln’s skills as a litigator, and get a glimpse of Lincoln’s interactions with witnesses and how he honed those skills as he shaped himself into an iconic leader. Lincoln learned the law by working with other attorneys. By 1859, he had handled 27 murder cases. He also handled civil and commerce cases, and was reported to have handled Springfield, Illinois’ first “slip and fall” case. 1859 murder trial captivated the region and the country. Nine months before the Republican convention. Political insiders were watching him on the heels of the Lincoln-Douglas debates. Two men from local families who scuffled in a local drugstore. Peachy Quinn Harrison slashed Greek Crafton with a knife when Crafton and his buddies grabbed Harrison with intent to “stomp his face” over vague insults. Lincoln effectively defended Harrison after he was indicted by a grand jury for the murder. Lincoln argued self-defense, not murder. Lincoln introduced his own personal relationship with the Harrison family. Crafton was mortally wounded in the abdomen and died three days later. But apparently, he forgave Peachy in a deathbed admission, according to Peter Cartwright, a revered evangelical leader. Harrison was acquitted at the end of the case, largely due to the judge’s decision to allow his grandfather – Peter Cartwright – to testify that Crafton gave a deathbed absolution of Harrison. 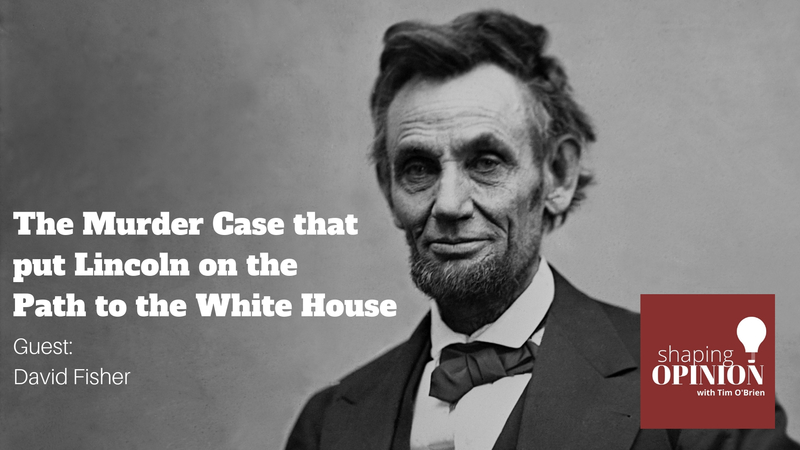 The story of this trial is not only that Lincoln won it so close to the presidential campaign of 1860, but that he leveraged this trial and the relationships he formed outside of the courtroom to put him on the path to the White House. David Fisher is the author of more than twenty New York Times bestsellers. He lives in New York. Dan Abrams is the CEO and Founder of Abrams Media and the Chief Legal Affairs Anchor for ABC News. He is also the host of both Sixty Days In and Live PD on the A&E network. A graduate of Columbia University Law School, he has written for the New York Times and the Wall Street Journal, among many others. He lives in New York.